RECIPE was a collaborative research project funded by the European Union Fifth Framework Programme (programme code: EVK2-2002-00269). The programme started in January 2003 and ended May 2006. 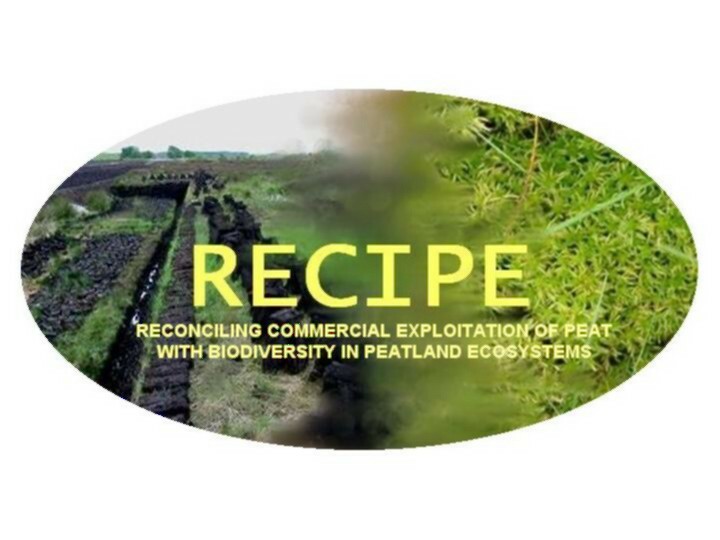 RECIPE aimed to provide information to assist both conservationists and managers of peat extraction with options to restore peat accumulation and carbon (C) sequestration in peatland that has either been abandoned or designated for restoration. Peatland ecosystems possess a unique biodiversity, which may be threatened by commercial exploitation. At the same time, in many areas of central and northern Europe, peat utilization has been, and continues to be, a source of a valuable raw commodity and of income for rural communities. The "wise use of mires and peatlands" recognizes the validity of both of these viewpoints and seeks ways of resolving potential conflicts (more background information). By achieving these objectives, RECIPE provided guidelines for sustainable management (*now available for download through the RECIPE 'Output's page: click here to redirect to the page) that will either reconcile continued peat use with the maintenance of biodiversity or aid the regeneration and biodiversity value of worked-out peatlands. Achieving a system of sustainable peatland use increases the land use options where the areas of peatland are sufficiently great to permit the co-existence of areas designated for conservation and areas available for utilisation. Currently peat extraction is mainly for horticulture and fuel with lower rates of removal for specialised uses such as whisky making in Scotland and balneology and textile use in Finland. The consistency of peat as a growth medium has been its main advantage for the glasshouse crop industry. Use as a fuel has been regarded as useful for small communities in remote areas where extraction is on a medium scale. Greater use as a fuel is made in Ireland and Finland. The outcomes of this research have address the long-term future requirements for peat in these different situations and show a way forward to managing peatlands in terms of both their biodiversity value and their value as major carbon sinks. Alongside this, an appraisal has been made of the future socio-economic benefits of various peatland management strategies. Peatland ecosystems possess a unique biodiversity, which may be threatened by commercial exploitation. At the same time, in many areas of central and northern Europe, peat utilization has been, and continues to be, a source of a valuable raw commodity and of income for rural communities. RECIPE is designed to provide information to assist both conservationists and managers of peat extraction with options to restore peat accumulation and carbon (C) sequestration in peatland that has either been abandoned or designated for restoration. Within the range of wetland ecosystems found in Europe, actively growing mires have been designated as ‘priority habitats for action’ (EC Council Directive, 1992). Mainly because of the extent to which they have been utilised in the past for fuel, afforestation, animal bedding and horticultural growth media, undisturbed peatland ecosystems are not common. Where they exist, many have been protected for conservation and there is a need to reconcile the special biodiversity of these habitats with their potential for commercial development and a source of employment in rural areas. RECIPE will address the problems of carbon accumulation and loss in peatlands at different stages of commercial extraction including pristine sites. Additionally, if cut bogs are restored, there is the potential for them to be used again in the long term, i.e. on a time-scale comparable to long-rotation forestry, particularly for horticultural peat. By working towards the restoration of peatland, this will contribute to the maintenance of biodiversity of landscapes and habitats. Essential to the project is the need to reconcile conservation with economic development. Although the future requirements for peat in the horticultural industry could be replaced by suitable alternatives, more specialised uses, such as the whisky industry in Scotland, will require a supply of peat for many years. Maintaining a supply for the rural-based peat extraction industry is completely compatible with the objectives of the programme. 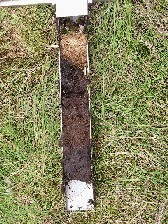 The results of the scientific studies have been applied to develop the strategies required to operate sustainable peat extraction through successful restoration techniques. By developing easily measured indicators of changed conditions in peat, the project examined the effectiveness of buffer strips (uncut zones) around peatland areas subject to peat extraction. This will have the effect of optimising the area of land required to conserve peatlands adjacent to sites suitable for economic development. An important goal is that the scientific information obtained in this work will enable management strategies to be applied to the rates of extraction and the extent of peat utilisation in terms of depth and area at individual sites. An additional consideration here is the contribution that peatlands make to atmospheric CO2 levels and their part in mitigating climate change (though their role as a source of methane should not be forgotten in this context). In terms of global carbon budgets, the amounts of carbon extracted annually as peat for fuel or horticulture is negligible. Nevertheless, peat extraction destroys, either partially or completely, a pool of fixed carbon and at the same time eliminates an active carbon sink. Restoration aims to reactivate this carbon sink. There are obvious ecological benefits from maintaining peatland as a sink for carbon as well as the socio-economic benefits from enabling peatland utilisation to continue in rural areas. The objectives will identify combinations of water table, vegetation, microbiology and chemistry favourable to the reestablishment of peatland biodiversity and long term regeneration. These will be made in the context of current management practices and taking account of both feasibility and the socio-economic benefits. Emphasis will be placed on understanding the relationship between the development of microbial diversity and the processes governing C cycling. Studies will be made of a range of regenerating peatlands as well as detailed regeneration experiments at specific sites. By achieving these objectives, RECIPE will provide guidelines for sustainable management that will either reconcile continued peat use with the maintenance of biodiversity or aid the regeneration and biodiversity value of worked-out peatlands. Alongside this, an appraisal will be made of the socio-economic benefits of various peatland management strategies. Commercial development of peatlands is aggressively opposed by those who perceive peatland conservation as the only way of maintaining diversity of habitats and landscape. There is pressure on authorities and planners not to grant licenses for peat extraction. This conflict could lead to decreased commercial activity in rural areas if the consumer is persuaded to avoid using peat products. The objectives of this proposal are directed at a third option that is aimed at paving the way forward towards sustainable management of peat extraction and improved methods of restoration. Across Europe there are many abandoned areas of peatland that have been cut-over (i.e. the surface horizons have been cut and removed) and used as sources of peat for fuel, horticulture or animal bedding and other commercial use such as whisky, biofilters, etc. It will be an objective of RECIPE to provide options for their management and to determine the degree to which these abandoned sites are net sinks or sources for carbon. Besides striving for long term use of these ecosystems, this should also allow the restoration of their role as source of biodiversity. Much effort is being deployed to restoring cut-over areas by blocking drains and encouraging establishment of peat-forming vegetation such as Sphagnum mosses. Predicting the outcome of this approach is extremely difficult. In extreme cases, current climatic conditions and nutrient inputs in atmospheric deposition may not allow net accumulation of carbon to occur. This situation may be exacerbated by future climate change, particularly changes in precipitation. Thus, any restoration measure will have to take into account the various local conditions across Europe, i.e. climate, pollution and peat properties. Information about the inter-relationships between processes controlling carbon loss from bogs and the vegetation, microbial activity and microbial community structure is required. RECIPE will compare for the first time the microbiology of processes in disturbed peatlands in order to determine their role in the restoration process. By comparing conditions in disturbed areas with pristine bogs, threshold limits to the restoration of peat accumulation will be identified. These threshold conditions will be translated into guidelines for commercial extraction and sustainable management strategies. Micro-organisms have long been recognised as being essential components of all ecosystems. However, microbial communities are still under-represented in ecological research and this has limited our understanding of ecosystem functioning. Moreover, micro-organisms have been shown to respond more quickly to global change than plants and are therefore likely to be better indicators of the conditions in disturbed and restored bogs. A major innovative component of RECIPE is the application of new molecular techniques to elucidate which part of the bacterial, archaeal and fungal communities in peat play a major role in nutrient turnover. Knowledge about microbes, particularly archaea, in peat is limited and cannot be extrapolated from other ecosystems mainly because of the extreme acidity, the limited nutrient content (mainly nitrogen) and the anoxic conditions in mires. New techniques, such as the analysis of DNA and rRNA, phospholipid fatty acids (PLFA) and phospholipid ether lipids (PLEL) or community level physiological profiles (CLPP), will be applied to determine the microbial communities across a range of peats and under a variety of physical and chemical conditions. By combining these techniques with stable isotope methods it will be possible to differentiate between active and inactive parts of the microbial community in respect to nutrient turnover. The diversity of the other micro-organisms (fungi, microalgae, protista, micro-metazoa) will be assessed in different peat types and under different conditions. Special attention will be devoted to the protozoa and, in particular, to the testate amoebae that are an important component of the microbial loop in the intact bogs. In addition to classical microscopic methods (direct observation), new techniques will be used to analyse genetic diversity (molecular ecology). Carbohydrates (and lignin) usually constitute a major part (up to 75 %) of plants. Depending on the genus considered, but also on the specific role they play in plants, they differ in their composition (pectins, hemicelluloses, cellulose) and in their location in the organisms (in cytoplasmic organelles, in cells walls, in root exudates). Given their abundance, their decrease is thus a measure of the intensity of the attack they undergo, the accompanying changes being indicative of the nature of the attack. Relative or even absolute changes in the proportions of individual monomers may also be indicative of microbial neosyntheses. Accordingly, the abundance and the distribution of carbohydrates and lignin-derived phenolic compounds, of particle size fractions in different types of peat taken under different conditions, will be determined in order to identify specific signatures of phyto-inheritance (in the coarse-grained fraction, i.e. > 50 µm) and in situ microbial synthesis (in the fine-grained fraction, i.e. < 50 µm). Amounts and distribution of the monosaccharide degradation markers (e.g. rhamnose, mannose, fucose) comprised in the latter fraction will be especially correlated with (1) the structure of microbial communities and (2) the rates of CO2 evolution. Furthermore, the physical texture, known to play a major role in the re-wetting process, will be investigated by cryo-scanning electron microscope, and will be carried out on different types of peat under an increasing range of wetness. In the same way, Fourier transform infrared (FTIR) spectroscopy, which is a rapid non-destructive method, will be used as an indicator of the lipid and carbohydrate components of peat. It has been applied to the chemical condition of organic matter in peats and its potential as a peat quality indicator will be assessed. A particular innovation will be the combination and synthesis of basic chemistry, microbiology and ecology of peatlands with both practical management and socio-economic implications. We believe that this wide spectrum of evaluation has not been done before.